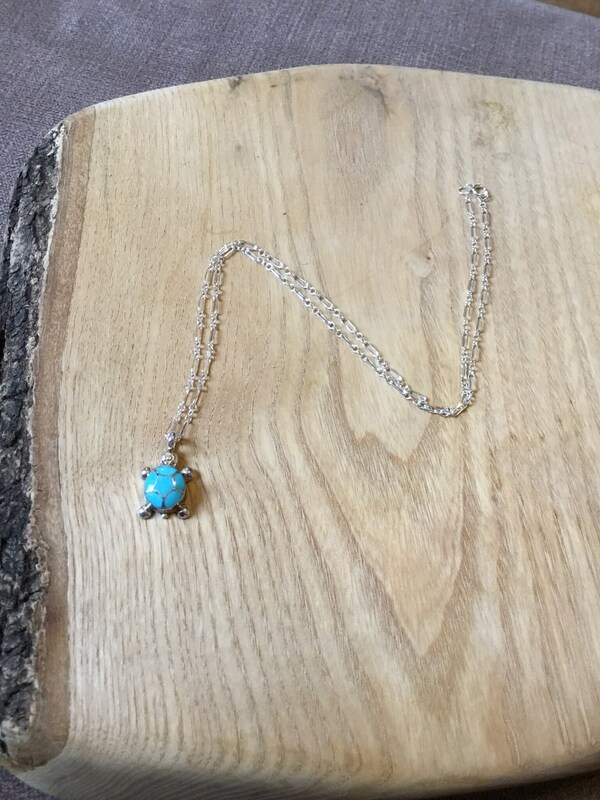 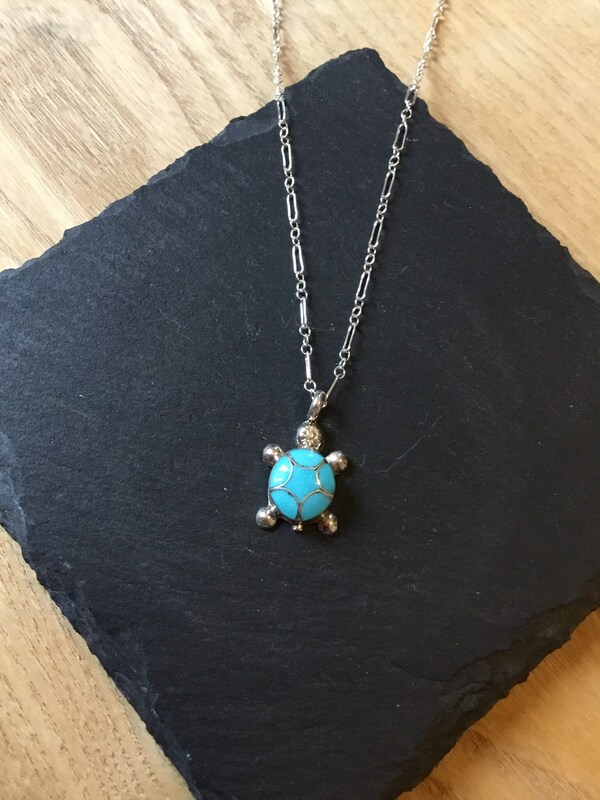 Navajo Turquoise Turtle Pendant and Fancy Link Chain. 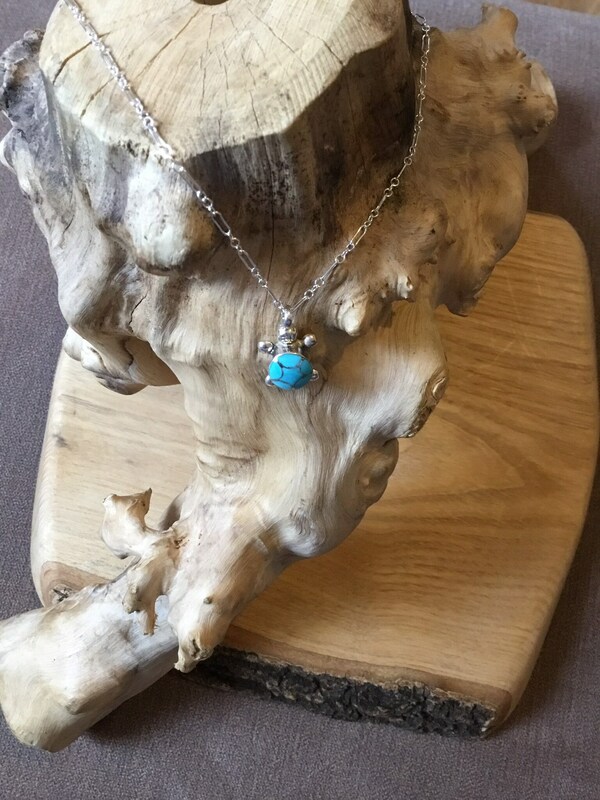 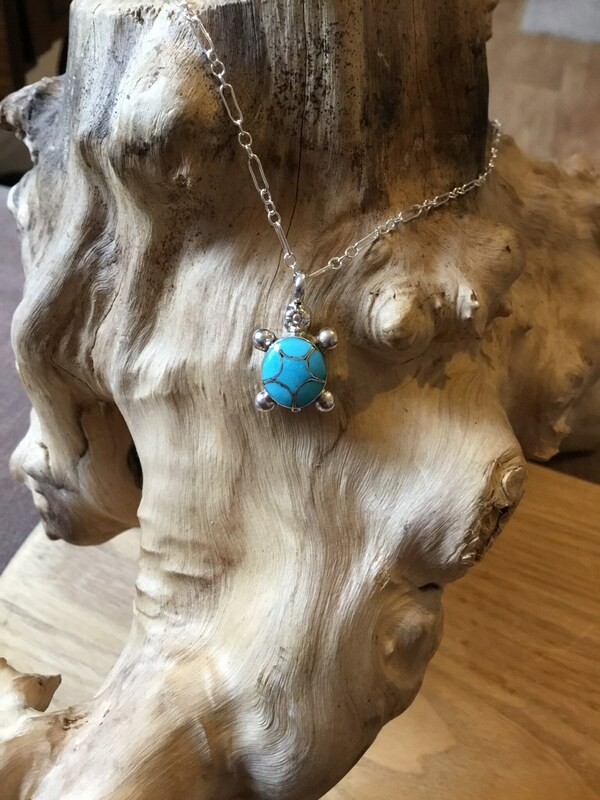 This Beautiful Turtle Pendant Is Inlaid In A Concave Sterling Silver Setting With Six Pieces Of Navajo Turquoise. 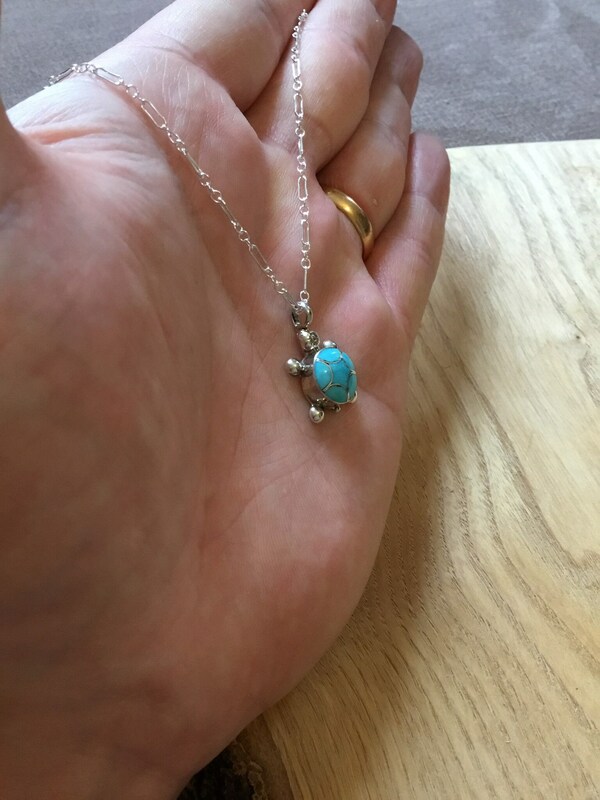 Oval Silver and Turquoise Setting Measures 10 mm x 9 mm. 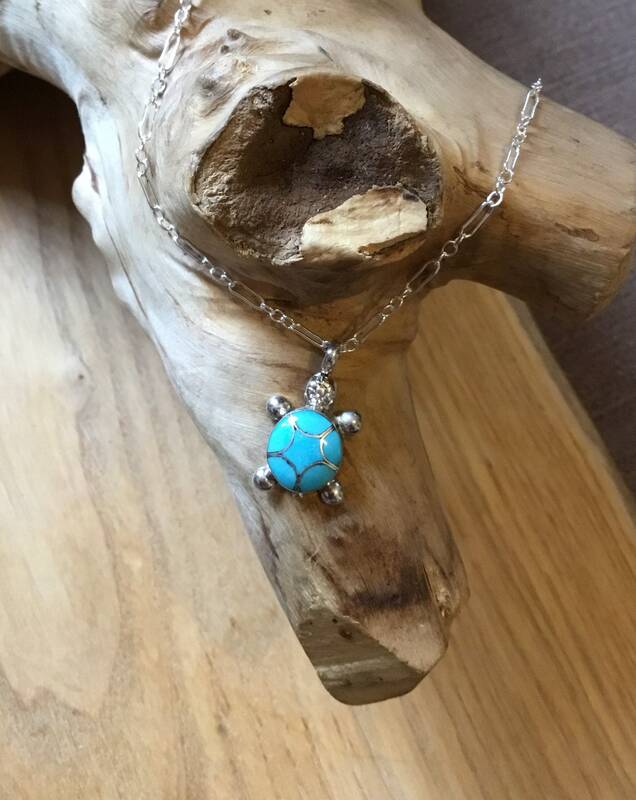 The Sterling Silver Chain Measures 18 Inches Long. 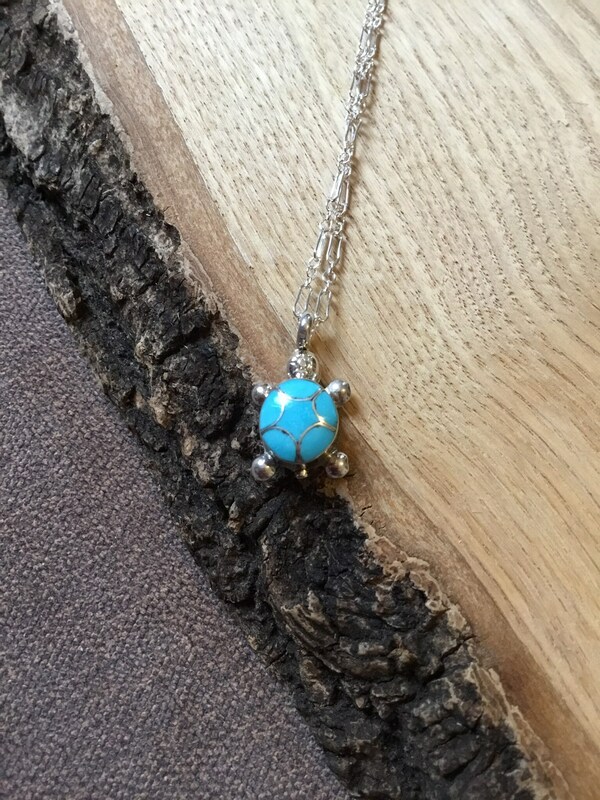 The Turtle is Seen as The Nurturer, Patient, With Protection, Endurance and Strength. 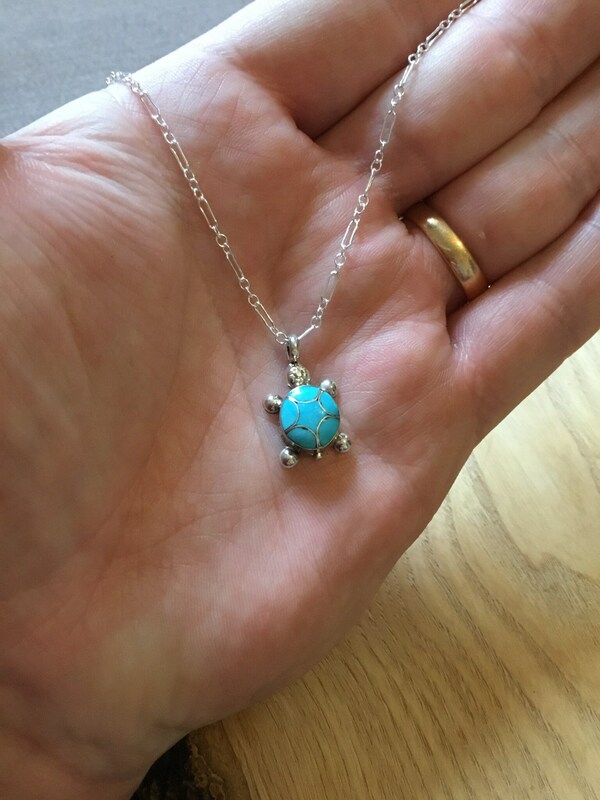 We Have Also Made a Pair Of Matching Earrings!